Our “Five Questions” series highlights the expertise and individuality of our member consultants. Members are interviewed by an ACN peer. We hope this series will reveal the breadth, depth, and overall expertise of our membership! I huddled in the corner of a coffee shop, trying to escape the cold Chicago wind that kept blowing in with every new customer. On one of the first sunny winter days of the year, I was waiting for marketing consultant Gail Straus, the principal for GKS Consulting, to share a beverage and to pick her brain on her experiences advising nonprofits. I found Gail eager to share her knowledge and found myself furiously jotting notes about my own approach to consulting. Her slogan “solutions through insight” is a spot-on summary of the work she does every day with nonprofit organizations, educational institutions, and service based-businesses. How did you get started in consulting? In an age when universities and non-profit organizations shied away from the term marketing as being taboo, Gail nevertheless started her career in enrollment, “unofficially” marketing universities to potential students. Continuing to hone her skills in market research, brand identity, and planning, she ultimately stepped into a more official marketing role when the university created a new department dedicated to the sector. From there, Gail worked as a senior consultant in an agency setting before establishing GKS Consulting. As an independent consultant, Gail is better able to price and manage projects in a way that makes sense for cash and time strapped nonprofit organizations. The flexible work environment along with the opportunity to develop meaningful and long-standing client relationships continue to gratify and satisfy her. What is the best thing about a career in consulting? Gail enjoys the variety and discovery that comes with being a marketing consultant to nonprofits and associations because it allows her the opportunity to help organizations articulate a brand that is authentic, heartfelt, and distinctive. How would you describe your value-added to a potential client? 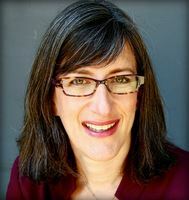 Gail’s professional emphasis is in market research, brand identity, and planning. Focusing on marketing at its initial stages, she is quickly able to demonstrate her value through honesty, straight-talk, and simply doing good work right from the beginning of the relationship. What are the biggest challenges facing nonprofits today and how do your services address these challenges? Money and how to get more of it. As an outside consultant, it’s easier to stay out of internal politics and help organizations examine their work objectively. In order to get more funding, organizations need to face the fact that they aren’t the only ones doing great work, and they need to focus on how their organization is doing great work differently from the others. Looking at institutional opportunities from the marketing research and strategy perspective ultimately leads to spending resources smartly. Gail’s research, strategy and planning work represent the investment organizations must make to maximize their presence in the marketplace and achieve their external relations goals. Tell me about ACN and why you are a member? A fundraising, strategy and evaluation consultant, a faculty member, and a seasoned nonprofit leader with significant international experience, you can find all of this in Meghann Beer. I spent time with Meghann recently, discovering how she has effortlessly brought together her varied interests and experiences to create a consulting practice with a holistic approach that integrates sometimes disparate pieces for and with her clients. How would you describe your nonprofit career? Meghann had a transformative experience volunteering in Kenya in 2003. About implementing programming through a local community development organization and she says, “It changed my perspective on the world and what I wanted to do in it”. During her time in Kenya, she saw not only the great need for nonprofits in local communities, but also the amount of infrastructure nonprofits need to succeed. Pursuing her newfound passion for global work, she earned an MPA in Nonprofit Management and International Affairs from Indiana University. Her graduate degree led to a wonderful opportunity to serve as the first Executive Director of Giving Back to Africa, an education and community development organization with programs in the Democratic Republic of Congo. As the only US-based staff person, Meghann worked with the board to build the organization’s infrastructure from the ground up. Eventually, Meghann returned to Indiana University to teach nonprofit management courses and she also began working with nonprofits on various consulting projects. She found that her teaching and her consulting practice complemented one another well as she was able to help both students and her clients see how the pieces – such as legal, fundraising, planning, and evaluation – fit together. Now based in Chicago, she’s focusing on her consulting practice and continues to teach at North Park University. Do you feel especially suited to address certain types of questions/issues because you’ve worked on the non-profit side? Meghann’s experience as leader of a small start-up organization allows her to see each client’s “big picture” and know how the parts have to be examined and developed to fit together. Her university teaching allows her to draw on academic best practices and, combined with her hands-on experience, she has made the notion of “fitting the pieces together” a guiding principle. Whether working on a strategic plan, a fund development plan, or an evaluation approach, she integrates the pieces, ensuring her work contributes to the overall success of her clients. What have you noticed as you entered Chicago’s nonprofit sector? Chicagoans will be happy to hear that Meghann has been pleasantly surprised at how welcoming and open Chicago has been. “People are more than willing to talk about what they do and what their organizations do. It’s a huge city and I’ve realized it’s more connected than I expected”. With a few key institutions, such as ACN, Axelson, and Donors Forum, she has been able to establish the beginnings of a well-connected network. What recent engagement gives us the best opportunity to understand your work? Meghann partners with Devine Consulting on various fundraising projects including currently working on a major gifts campaign for a workforce development organization. The campaign has been built around the organization’s desire to grow and has required fitting together diverse pieces of the organization’s strategic plan, fundraising, volunteer management, infrastructure, and evaluation. On the international front, Meghann has combined many of her own passions by working with a client to develop, implement, fund, and evaluate an international volunteer service program. The organization offers two-week service programs in Kenya. Meghann helped them create the organizational infrastructure to support the program and engage the volunteers, integrated the program with a dynamic fundraising method (teaching the volunteers to fundraise and crowdsource), and made sure there was a positive community impact. She is particularly proud of a school the volunteers built from the ground up in a rural Maasai village. I have enjoyed getting to know Meghann Beer better and hope this post has helped you “get to know” her, too. I’m sure she would also welcome an email or call to connect with you. Tell us about yourself and what makes you unique. I have been working in and with Chicago’s nonprofit community for almost 30 years. My work centers on development and helping build quality programs that have maximum potential for funding support. What sets me apart is the unique perspective that I can bring to nonprofit clients through work I’ve done in community and family foundations. I’ve been fortunate to have had the dual experiences of grant-seeking and grant-making, which allows me to be an effective advocate for the nonprofit community and those supporting them. My clients and employers have ranged from large government agencies and social service institutions to small grassroots arts organizations. I’ve built a practice focused on helping providers effectively shape their case for support, which leads to funders that will be excited about what they are doing and motivated to help. At what point does an organization need you? Organizations need skills like mine at several different points. Organizations need me when they want to start a fundraising program and their existing staff is overworked and needs help. They need me when they have a new project, initiative, or program they don’t have the resources to pursue and they need someone to research potential funding sources that they’re unaware of, such as government grants within their area of service and expertise. For example, I once managed a grant for the Columbia College film department. The project was actually funded through the US Department of Defense to develop animation to be used in homeland security – not the usual place for a film department to seek money! Organizations also need me when they are looking to diversify their funding sources. They may have programming in place that they feel could have potential to attract other funders. I recently met with an organization providing mental health services to a very specific low-income population. They had never looked beyond their immediate community for funding support. Meeting with them, I realized the potential opportunities available to them in part because of the Affordable Care Act and the significant unmet need in their community. Facing a lack of capacity to think beyond the day-to-day challenges, they hadn’t thought strategically about their funding base. We are starting with a case statement to take to current funders and jump-start the process. Although they knew they needed to expand their capacity because of the ongoing demand for their services, they had not documented unmet need and the demographics in their communities using the existing research. I was able to guide them a new direction that will help them generate a diverse portfolio of funders. How do you deal with a small start-up that has zero fundraising experience? I’ve actually done this successfully several times. Many small organizations want to begin with writing a grant proposal – one performing arts group just gave me the season schedule and thought I could raise money based on that! You need good programs in place first. There needs to be a staffing plan, an evaluation process and a thoughtful, sustainable budget. Organizations need a staff and board structure in place that can support fundraising and grant administration. These are essential components before you start asking for money. To me the perfect client is one who is prepared for you. It’s critical that the board knows what you are doing and approves of your project and the budget. It then needs to communicate that to the staff, so that everyone is on board with your role and welcomes you. Internal miscommunications can be debilitating – it’s a waste of everyone’s time and money. You’ve worked on both sides of the funding fence. Having managed grants and guided donors for a community foundation, what perspective can you bring your clients? Focus on quality programming rather than the number of people served. The donors with whom I have worked want to see a good initial small project. They will then be there for the next level. It’s not always about scale but about quality of service and impact within your area of expertise. It’s easier to grow the program than to scale it back. I’m hard pressed to say which I enjoy more, finding the money or giving it away! One thing I’ve come to appreciate through both philanthropy and development is the impact that can be made with even a relatively small level of support. I work with a family foundation that was responsible in large part for the creation of a network of community gardens on the west side. These were small grants provided for several years that funded seeds, technical assistance, and small scale gardening equipment. Those gardens are now a force for positive community development in an area that really needs it. Whether you are developing the program or helping sustain it through funding support, it is an incredibly satisfying experience to see it become successful and potentially have long-term impact beyond its original expectations. By Jonathan Eisler, Perspectives Ltd. I recently had the pleasure of sitting down with Amy Wishnick to learn more about who she is, what she is passionate about, her perspectives on the nonprofit sector and how her experiences have contributed to the value she brings to her clients and the way in which she collaborates with them. 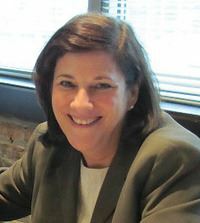 Excited about the diverse organizations that she encountered in her seven years in executive search as well as her volunteer and board activities, Amy established Wishnick & Associates, LLC in 2004 to serve as an external resource for the nonprofit sector. Her consulting focuses on strategic planning, organizational and board assessment and development, and other projects geared to ensuring that organizations can make sound decisions. Amy possesses a clear knack for asking high-impact questions based on her ability to ‘hear’ what was not being explicitly stated/asked, and I immediately saw the immense value for her clients in this approach. Firm in the belief that “progress is incremental,” that organizational and individual successes are linked, and that trust must be present before openness to the “new” may be fostered, she approaches every client engagement from a relational perspective. A flexible, non-judgmental and realistic attitude has allowed Amy not only to build outstanding relationships with her clients, but also better ensure meaningful results. I asked her to describe a recent project she worked on to hear more about her approach ‘in action.’ Eagerly, Amy described a recent strategic planning project she completed for a client with which she had previously worked to enhance the organization’s operational capacity. Her history with the client helped her to effectively support the organizational changes associated with early life-cycle growth. Amy leveraged their longstanding relationship by recalling organizational intricacies that allowed her client to achieve high-impact solutions. It was easy to be impressed by her ability to maintain attention to detail while ensuring alignment with their need, culture, and objectives. With regard to the nonprofit environment, Amy mentioned that while organizations seem to understand the need for capacity building better than ever before, the funding for capacity building continues to ebb and flow. She added that the “sophistication” and “skill level” of leadership within the sector is strong and there is deep understanding of the importance for organizations to have sound infrastructures. Because of the value and skill-set that Amy brings, I was not surprised to learn that through her innate ability to establish and nurture meaningful relationships with her clients, she not only helps them to manage the “nuances associated with all kinds of change”, but she also brings clarity to the true value of the needed change. Given the all-too-common overlap of organizational initiatives and the tightening of purse strings that the sector is experiencing, I knew right away why so many of Wishnick & Associates’ clients keep coming back for more! Written by Jonathan Eisler, MBA, MAIOP, CPBA, Director of Organizational Consulting, Perspectives Ltd.
I’ve had the pleasure to meet Annisa Wanat just as she begins her latest adventure of transferring years of overseas experiences to the Chicago area nonprofit community. With fifteen years in community organizing and development, local governance strengthening, advocacy, coalition building, and organizational development, it takes only a few minutes with Annisa to see that her vision, passion, and global expertise will make her a successful partner to new or transitioning organizations dealing with the challenges of organizational development. Annisa Wanat has come home to Chicago after many years working abroad in countries such as Afghanistan and South Sudan. Her overseas experiences started in the Peace Corps, after which she spent much of her career fostering the development of nonprofits and governments agencies overseas. She helped organizations grow from small, unfocused groups to effective advocates for citizens’ concerns. Annisa has recently returned to Chicago to help nonprofit organizations with the same end-to-end support, using her global expertise to develop local solutions. Annisa’s experience includes assisting with program design and management, developing organizational structures, capacity building, and assessing an organization’s advocacy culture – essentially, everything that new or transitioning organizations need to be successful. What kinds of organizations would you like to support? Similar to the organizations she worked with overseas, Annisa believes that her strengths would best be suited to organizations that are just starting out or are in the process of restructuring. They may need support in establishing or refining a strategic approach to programming, developing operational policies, managing new donors, acquiring skills to better empower staff and board, or revamping a fundraising strategy. Working with a variety of organizations on a range of issues makes consulting work interesting for Annisa. The diversity of issues and causes encountered as a consultant make life both challenging and stimulating. She is enjoying the consulting life in which no two days are just alike and she can set her own schedule. What are the biggest challenges you anticipate as you transition to the nonprofit world in Chicago? Commuting! Annisa hasn’t had more than a five-minute “commute” since 2005 so she is still adjusting to the time it takes to get places. Similar to what many of us encounter, she wonders if she will miss having a built-in work community and hopes that ACN can help fill that need. In making the transition back to Chicago, Annisa considers her ACN membership as an opportunity to build a new community of colleagues. Professional development, networking and peer support are important benefits of membership as she establishes her consulting practice in her hometown. Authenticity is key for Cathy. She prides herself on serving as a trusted advisor to clients through authentic relationships. She uses active listening and appreciative inquiry to help clients identify their needs and what will work best for their organization. Her primary goal is to understand what an organization is struggling with, and why – and then to work with them help them develop a long-term solution. Last year, Cathy added executive search and executive coaching services to her practice. Viewing coaching as a powerful leadership development tool, Cathy believes that it allows her the opportunity to make a real difference with her clients. Whether it’s helping individuals identify the root cause of a problem or teaching them a new tool or skill, coaching has become a new passion. In March, Cathy will receive a Certification in Learning and Organizational Change, and next year she expects to receive certification in Organizational Leadership and Coaching. 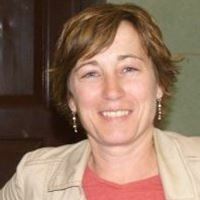 Cathy believes that the unique role of an independent nonprofit consultant affords her the ability to provide organizations with an independent perspective, to enable them to tap into the latest concepts and methodologies, and to expand the capacity of their overworked staff to impact their mission. Indeed – one of her best days as a consultant followed a presentation to the Board of a client in Boston. The Board told her they received more value than they had expected – Traveling back to Chicago, she couldn’t help but feel grateful for the reminder of why she does what she does! When not working as a consultant/coach, Cathy enjoys her role as ”Grammy” to Julia, age 5 and Charlie, age 2, and Olivia, who just arrived in February. Being an independent consultant allows her the flexibility to be “on call” when her children need her help. Cathy lives in Chicago and one of her favorite restaurants is Farmhouse located in both Chicago and in Evanston with its locally sourced food and warm hospitality. Anyone familiar with non-profit boards will likely recognize this scenario: An operational problem or staff issue (e.g., running a deficit, experiencing high turnover, not reaching fundraising goals) arises at an organization. In response, the Board changes leadership or engages in strategic planning. Over time, it becomes clear that the Board has not been responding to important market changes that affect their organization. This is where Bold Agenda can be helpful to boards. Meet Rena Henderson Mason, president of Bold Agenda, a nonprofit consulting practice focused on empowering leaders and energizing boards. Rena prides herself on being a visionary and trusted advisor to board and staff leaders, and has worked to develop a disciplined, mission-drivenapproach based on the observation that exceptional boards build high-impact organizations, while dysfunctional boards tear them apart. Interestingly, Rena’s consulting practice evolved from her start as a volunteer with the Arts and Business Council. She worked with a team of volunteer consultants on long-term board projects in all areas of governance. She frequently saw boards struggling to build teams that were equipped to do the important work of recruiting, fundraising, or succession planning. Rena concluded that developing and sustaining a good working relationship between an Executive Director and the right Board chair is critical for any organization’s survival and growth. To that end, she develops rapport with her clients by actively listening, identifying clients’ most persistent problems, and understanding the barriers and challenges that keep boards from reaching their full potential. Rena is inspired by the opportunity to choose her clients and work with great organizations that make a difference in the communities they serve. In line with the recent trend of funders’ interest in organizations that create more with less, Rena is currently working with two arts organizations that are considering a joint venture. While the idea of sharing both ideas and resources (e.g., office space, office administration) is appealing, both organizations are unsure that a merger is the best solution. Moreover, the practical considerations often seem daunting. In response, Rena hasconducted visioning sessions with the aims of creating a common mission, identifying potential roadblocks, and focusing on blending their cultures by ensuring that they share both vision and values. In addition to arts and culture, recent clients include social service agencies, international development organizations as well as professional associations. She finds that any client with bold ideas offers an opportunity to expand her knowledge and expertise. Rena lives in Chicago with her husband and two sons. The family’s favorite restaurants are 1) The West Loop’s Carnivale for its colorful, festive and fun atmosphere, and 2) A10 Hyde Park for Italian cuisine because of its great service and ambiance. Jonathan Eisler is interested in learning your story. An open and engaging conversationalist, he builds relationships with clients by underscoring his concern for their improvement. Inherently curious about people and organizations, Jonathan frankly comments that meeting a client’s needs sometimes means passing a project off to another consultant – or even another firm. As Director of Organizational Services for Perspectives, a national firm specializing in organizational and workforce resources, Jonathan’s department can offer a lot – the group focuses on services that provide “solutions for systemic challenges that impact organizational performance and overall productivity”. Consultants deliver coaching, standardized assessments, and customized organizational/workforce development services. These broad aims, alongside his experiences as a consultant, led Jonathan to pursue educational degrees that aligned with his passion to build teams and help people and organizations grow and improve. He has earned both a Master’s degree in Industrial/Organizational Psychology as well as an MBA, with the intent of acquiring in-depth understanding of both the human dynamics and the structural components at play within his client organizations. Reflecting on the organizational challenges his clients face, he first notes the precarious financial positions that clients are facing, particularly those who rely on state funding. Consequently, his work frequently begins with creatively designing a scope of work that meets the client’s needs within a limited budget. Second, he has seen a shift away from client engagements that focus only on training, toward an emphasis on addressing the systemic cause of organizational challenges and fit of resources. Jonathan notes that he and his team are facilitating more organizational assessments, needs analyses, and consulting engagements, rather than simply providing coaching. When asked to consider organization-level challenges, he identifies two phenomena. The first is that some organizations attempt assessment or team building work on their own; however, Jonathan knows that this kind of work is better suited to a consultant – an unbiased outsider. As someone who deepens his understanding of organizational cultures and challenges with every new engagement, Jonathan exposes clients to new ideas and new (dare we say) perspectives! The second organizational challenge he sees is that clients often have difficulty moving beyond an entrenched view of their organization. As a consultant whose work focuses on change, moving a client from a subjective understanding of their organization’s history to an objective view of project outcomes can prove exceptionally difficult. Jonathan describes an up-coming project – a partnership evaluation that has bearing on important decisions about the client organization’s program, partnerships, staffing, and community impact. He will be managing a team of consultants with different skillsets who will work together to evaluate strategies, outcomes, perceptions, and statistics. 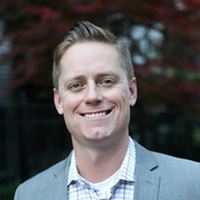 By bringing together an array of consultant resources, Jonathan is able to lead a team to gather qualitative and quantitative data and use it to answer some big questions facing the organization. It is obvious why Jonathan Eisler’s clients want to work with him. Affable and smart, he skillfully gets to the heart of a matter. He communicates well and clearly articulates their need based on what they tell him thus laying a solid foundation for a successful engagement. I had the pleasure of talking to longtime ACN member Carol White, who has served as a marketing consultant to the nonprofit community since 1998. During that time she has provided marketing research and strategy services to scores of esteemed clients, including Openlands, Northwestern University, the National Cancer Institutes, The Cradle, and the Old Town School of Folk Music. How do your services help nonprofit organizations? As CBWhite’s website states, Carol guides “nonprofits towards their destinations through the art and science of market research”. Carol explains, “I look at a question or challenge that an organization is facing and I help them think about whether input from external stakeholders would enable them to make better decisions. I do market research and help solve the problem”. Carol was always passionate about working with organizations whose mission she cared about, but she was surprised at how fulfilling it was to address key issues with the help of market research. Carol recently worked with a youth choral group that was facing declining enrollment. To better understand what motivated participants, Carol surveyed parents of current students. Carol says, “If we can look at why people who have already engaged have chosen to do so, we will better understand how to market to others”. Pointing out that “organizations often take things they do well for granted”, Carol’s research discovered that families felt the organization was providing really fun programming and they weren’t highlighting that enough. In the second phase of engagement with the client, Carol interviewed a broader group of parents not currently engaged in the program to better understand how the organization could make their programs more relevant. The project was a real success in helping them improve their program enrollment. Carol provides two unique services that add value for her clients. First, many projects include a “marketing playbook” that compiles the results of the research and what the organization needs to emphasize in all its external communications. Additionally, Carol donates 6 hours of time, good for 6 months after the project, to review clients’ marketing strategies for consistency with the research findings and recommendations. How do you think being a long time member of ACN has impacted your consulting practice? It was inspiring to spend time with a successful nonprofit consultant who clearly loves and is grateful to be in this line of work. I would highly recommend that you make an effort to get to know Carol. 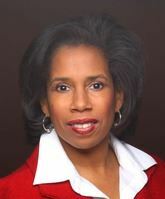 You can learn more about Carol and her consulting practice at http://cbwhite.com.